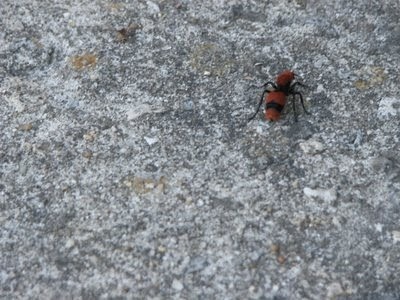 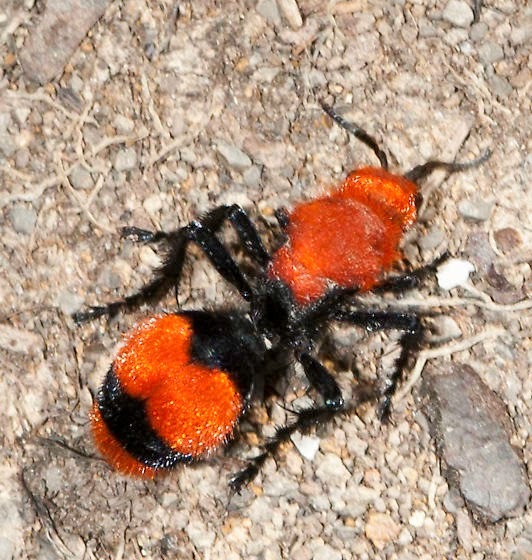 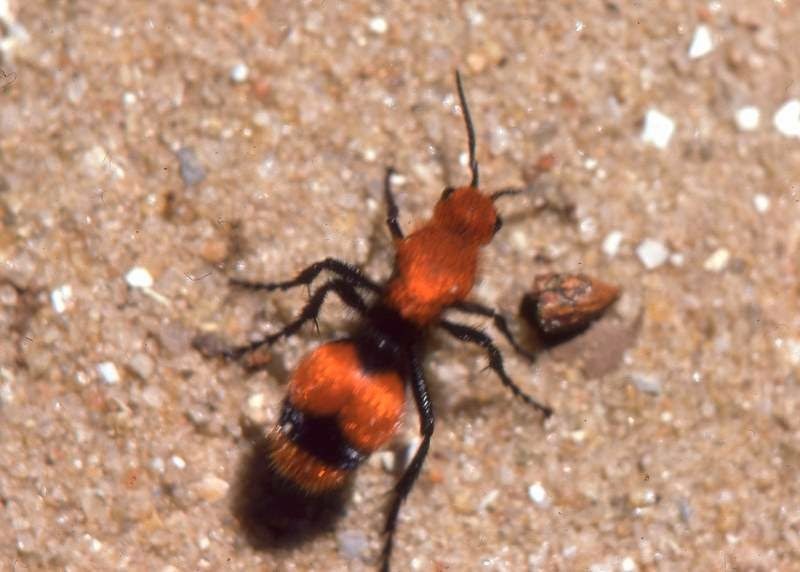 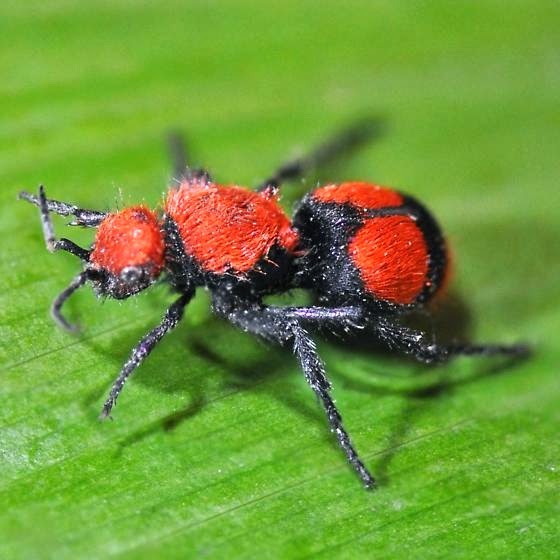 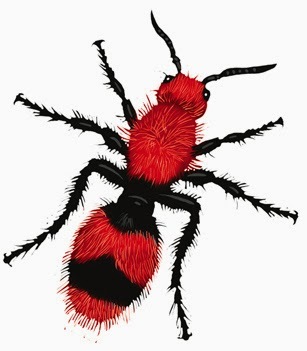 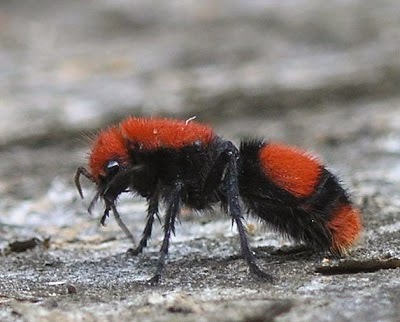 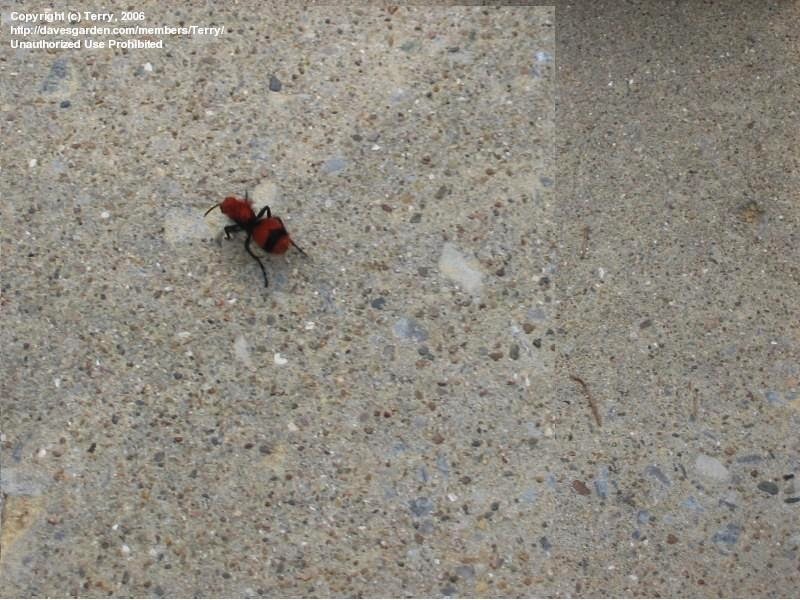 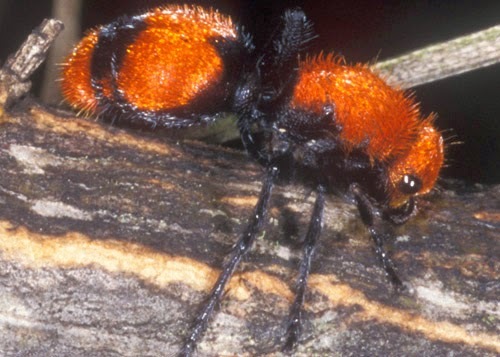 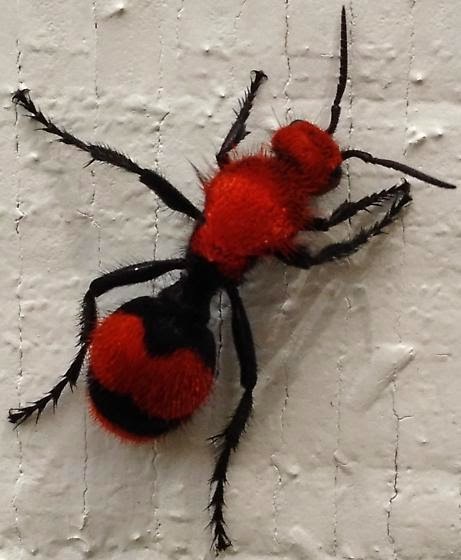 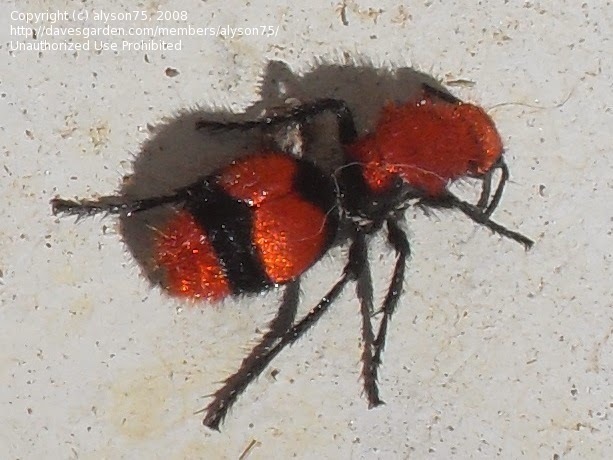 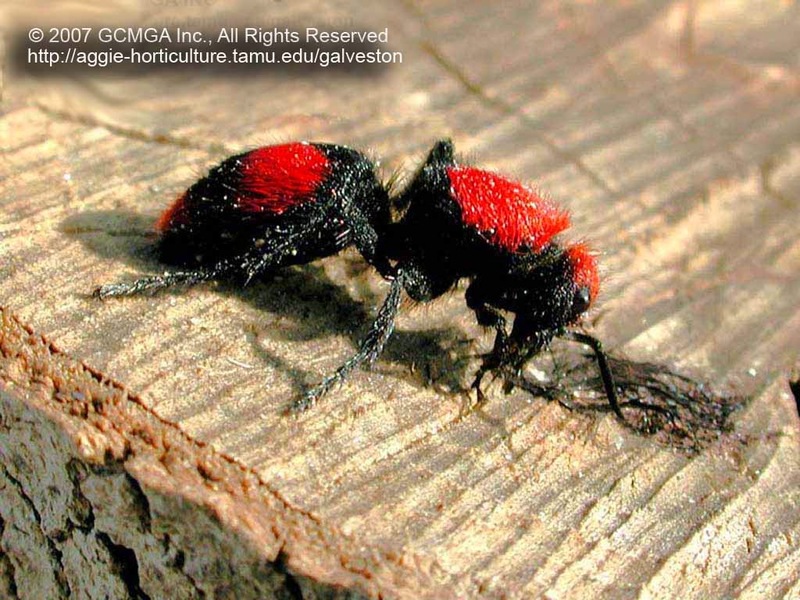 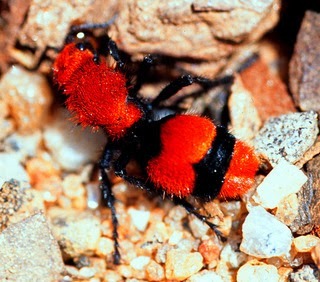 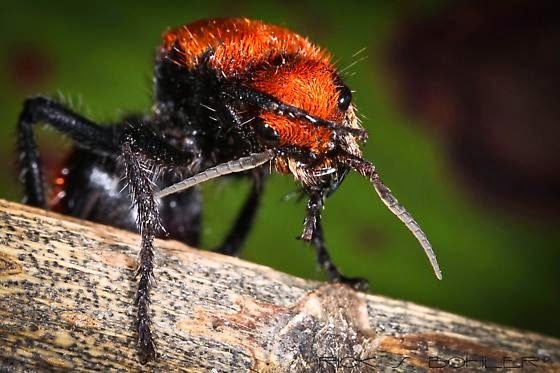 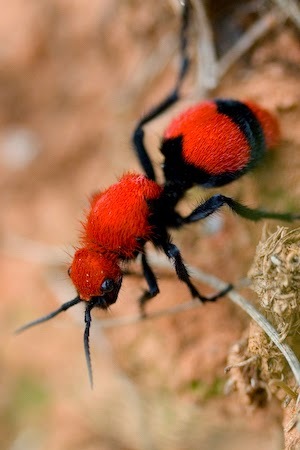 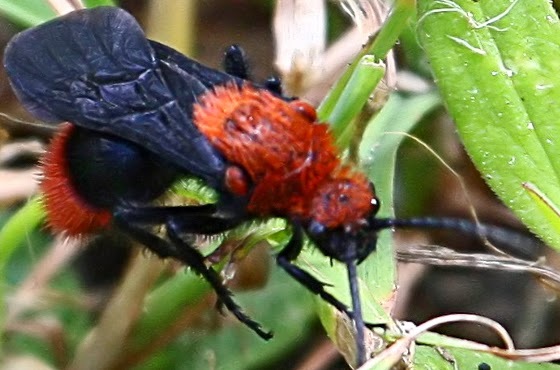 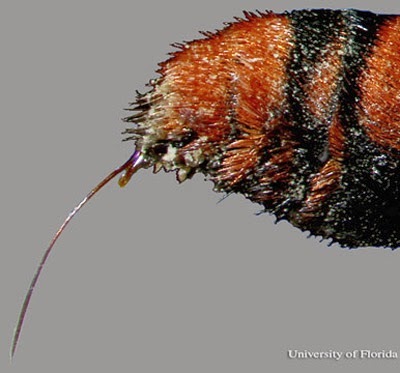 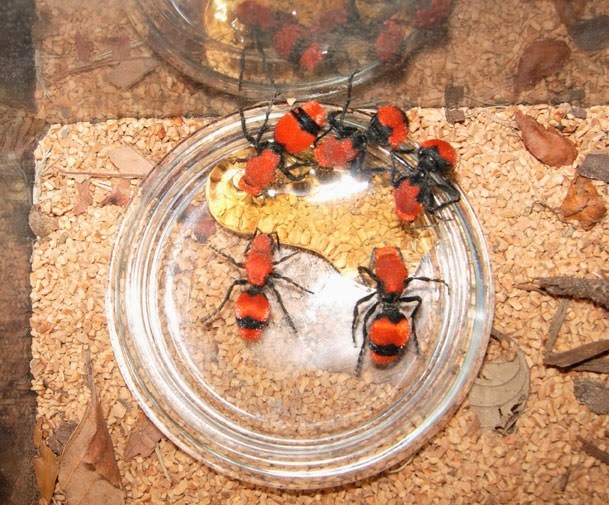 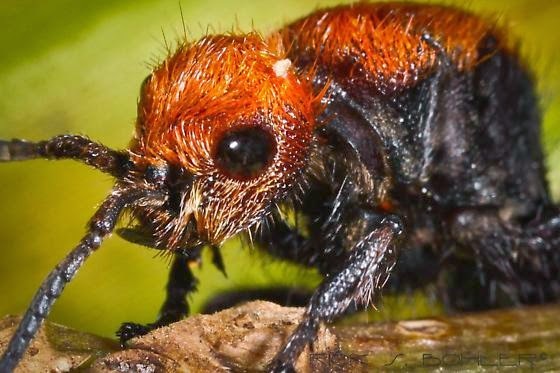 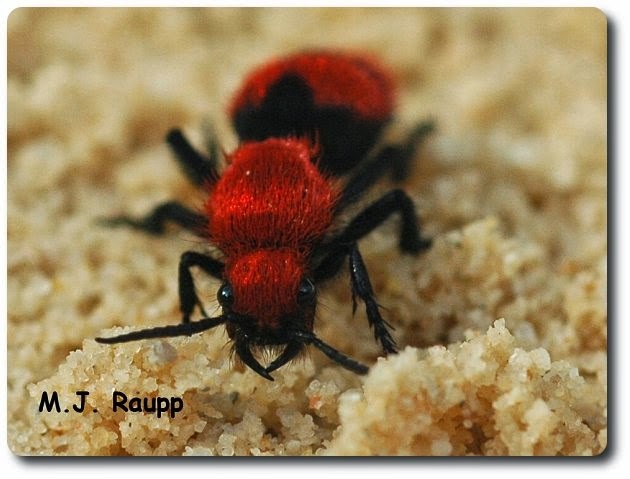 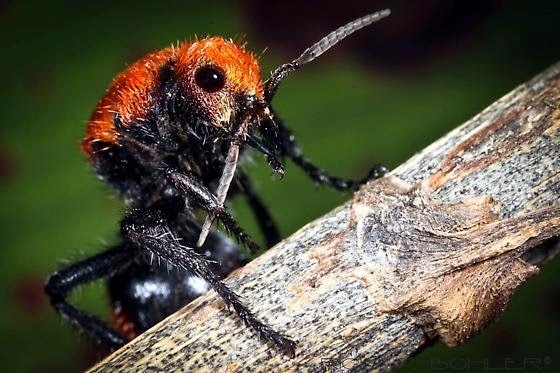 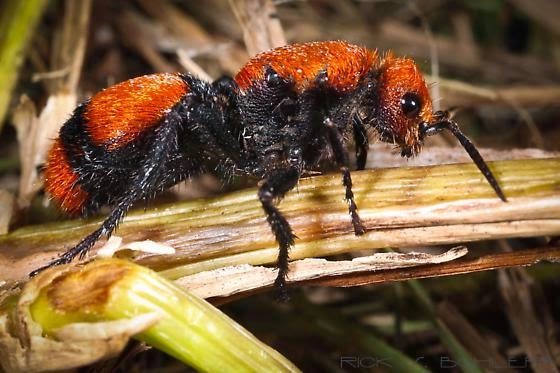 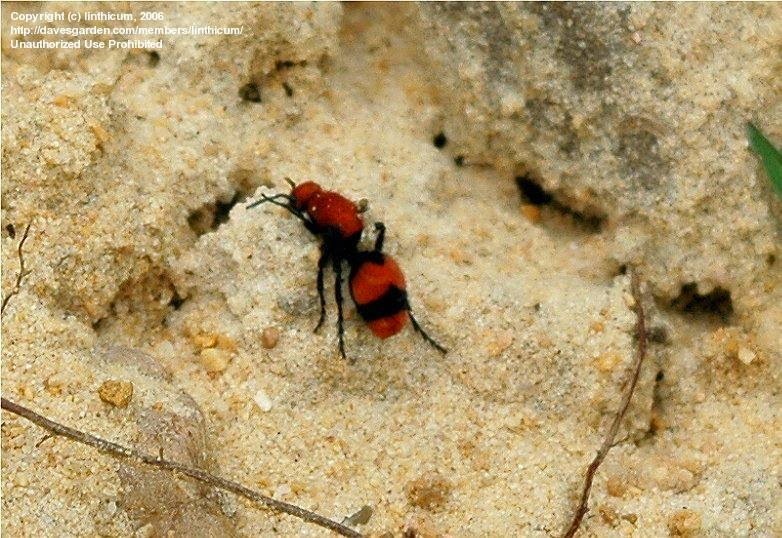 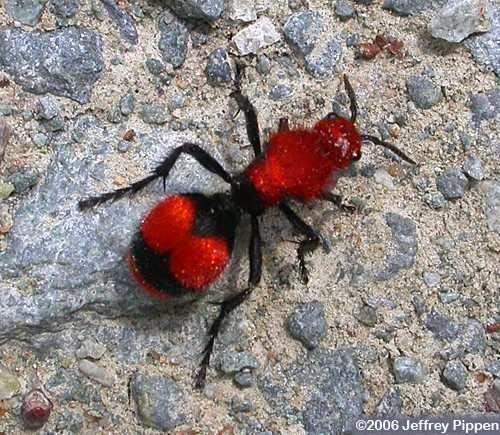 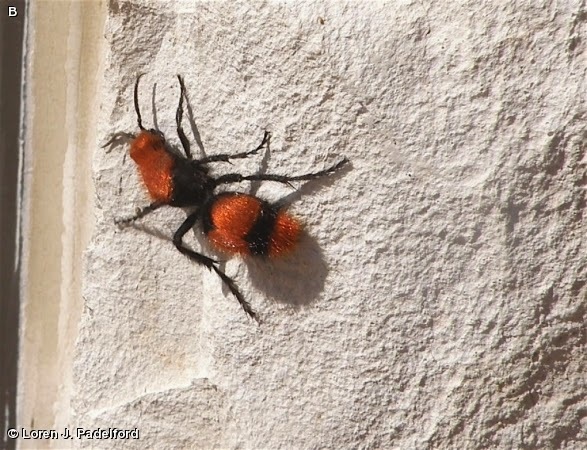 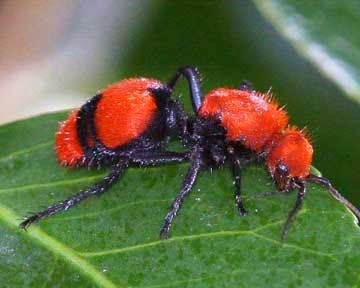 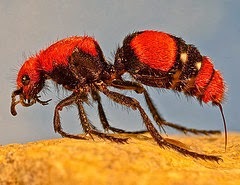 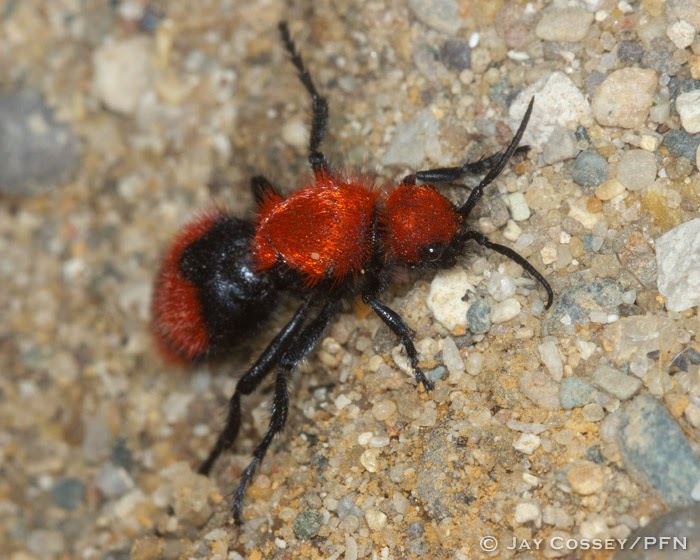 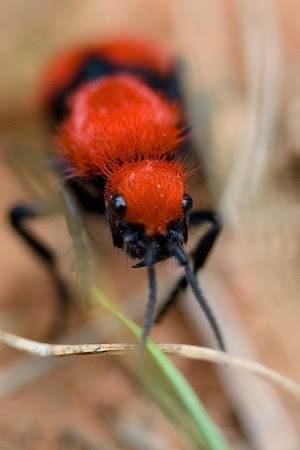 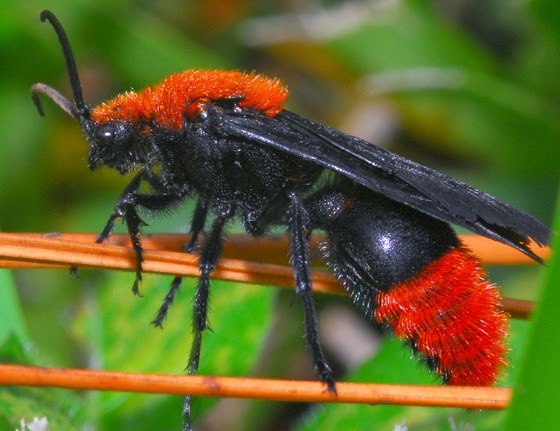 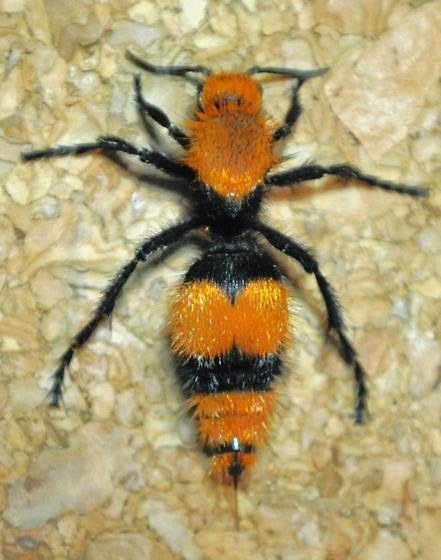 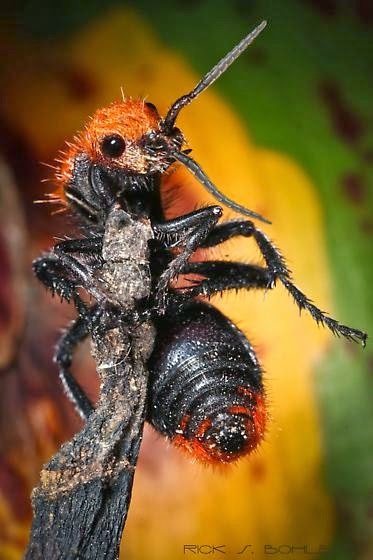 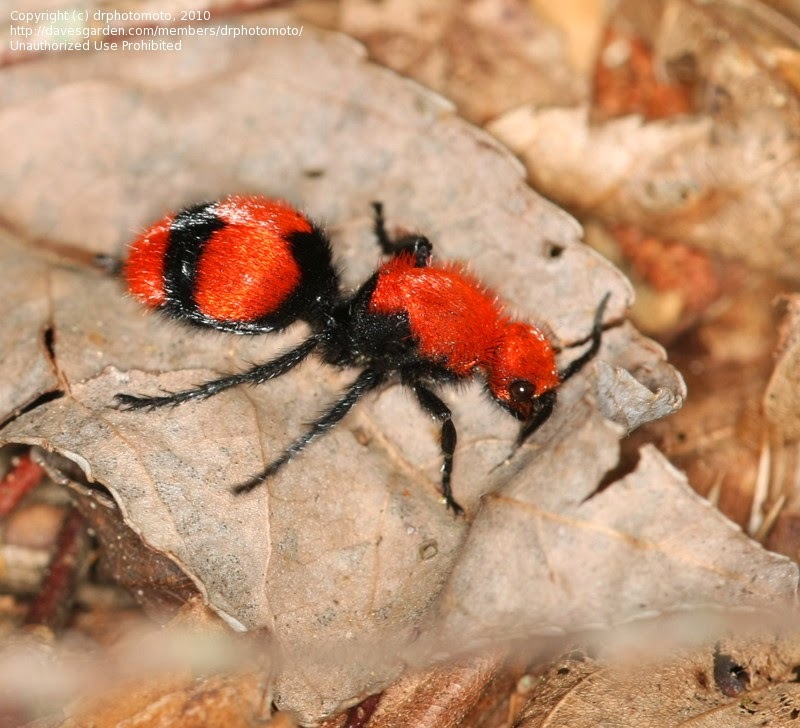 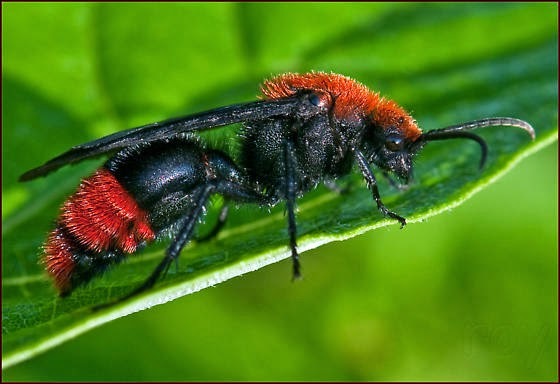 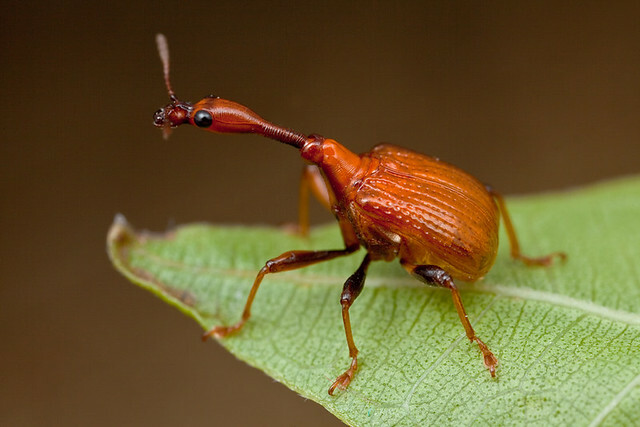 Dasymutilla occidentalis (red velvet ant or eastern velvet ant), is a species of parasitoid wasp native to the eastern United States. 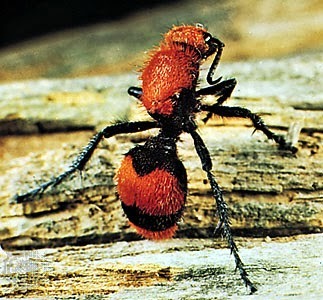 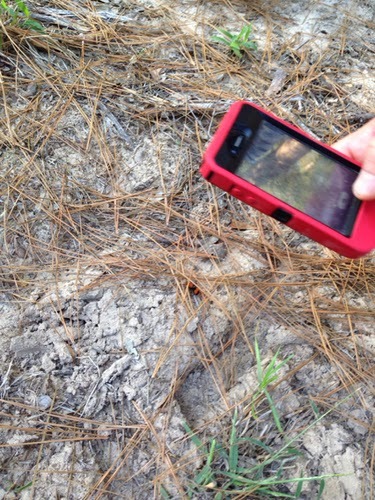 It is commonly mistaken for a member of the true ant family, as the female is wingless. 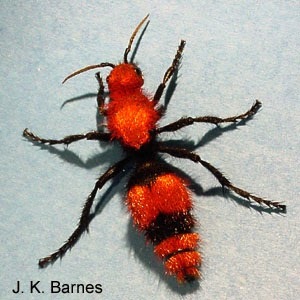 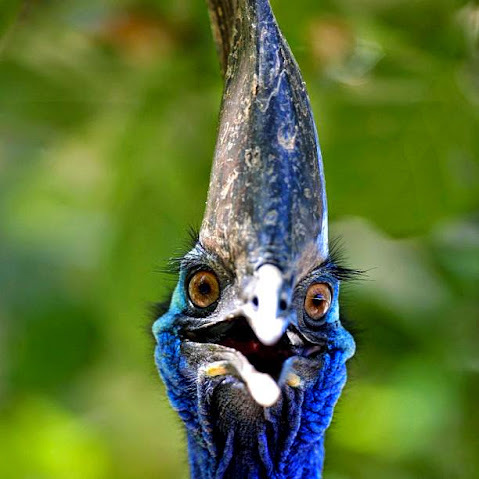 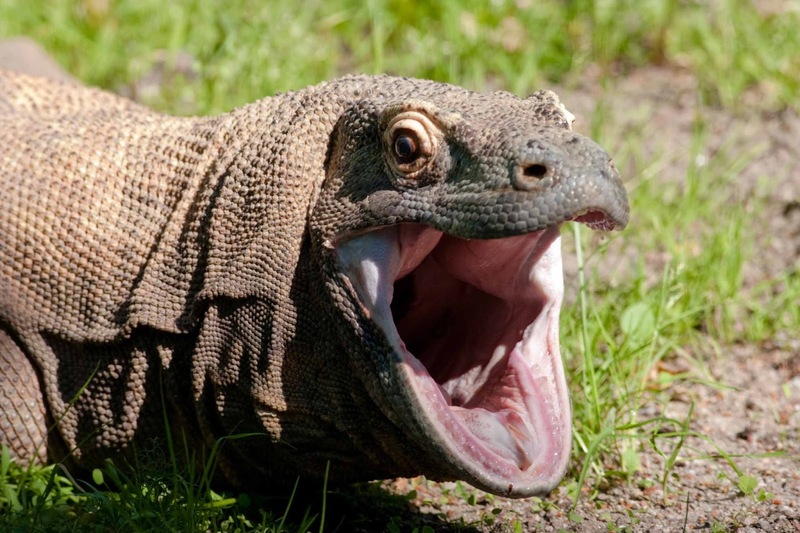 The species ranges from Connecticut to Missouri in the north and Florida to Texas in the south. 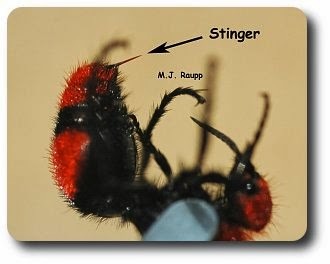 Other common names include cow ant and cow killer. 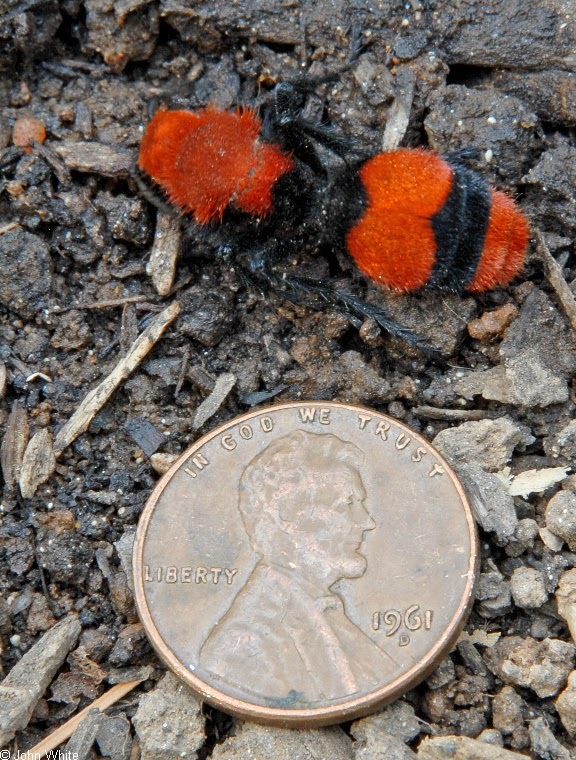 The eastern velvet ant is the largest of the velvet ant species in the United States, attaining an approximate length of 0.75 in (1.9 cm). 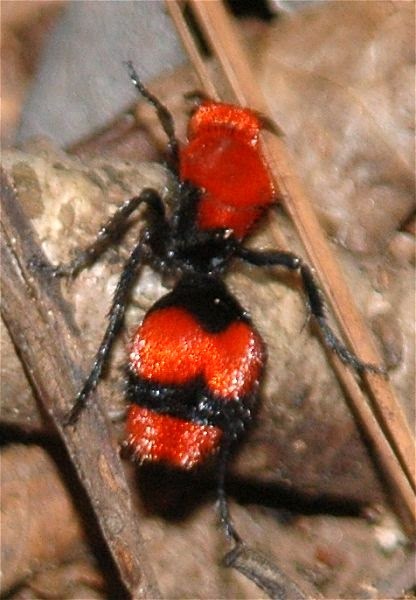 Adults display aposematic coloration, consisting of black overall coloring with an orange-red pattern on the dorsal surface of the thorax and abdomen. 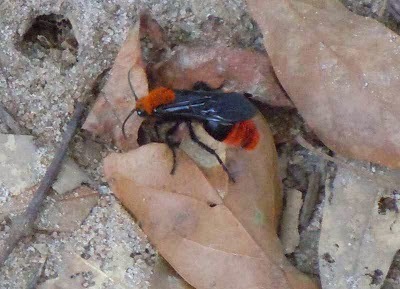 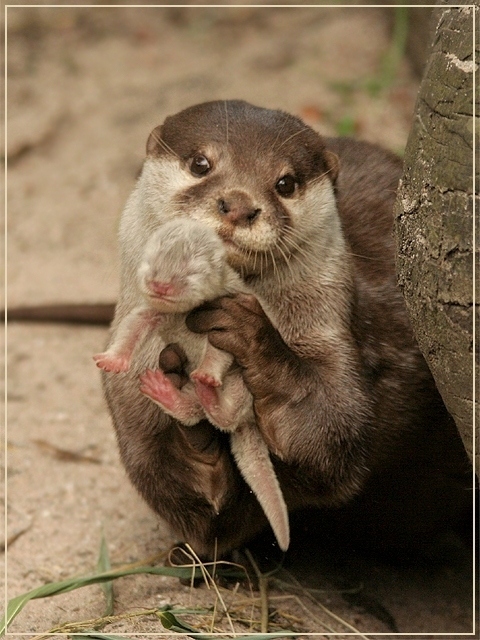 They are covered in dense, velvet-like hair.